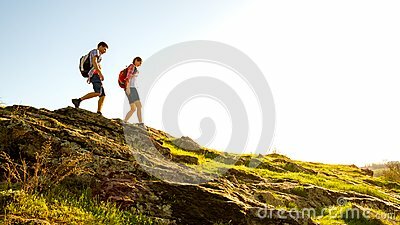 Stock image of young happy couple hiking with backpacks on the beautiful rocky trail at sunny evening. family travel and adventure. stock image of The Songkran festival in Silom, Bangkok. Celebrate Thai Traditional New Year.